After the introduction to some fantastic Persian blogs, we’re continuing with our Persian journey. 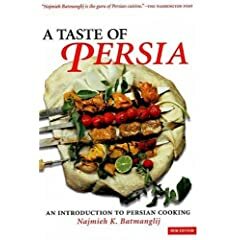 I now got our favourite Persian book from A., A Taste of Persia, lovingly called Batbook, which is the book we used most for our feast, so tonight, I’ll tell you about the dishes in more details. The recipes for this salad, which can easily be turned into a soup, is availably on Batmanglij’s website, Najmieh’s Kitchen. Yoghurt is combined with cucumber, mint, spring onions, dill, oregano, thyme, tarragon, garlic and raisins for a refreshingly cooling summery salad. Garnished with radish, walnuts, herbs and rose petals, it is a beauty to behold. This isn’t an Iranian recipe, but my creation based on an Iranian cheese and walnut spread from Batbook (pg. 33). We didn’t have the time to puree it in the blender, plus I improvised a bit with the ingredients, but ths spirit is there: cheese, walnuts, herbs. And it’s fantastic! I love the combination of the salty feta and walnuts! I works really really well. Especially with the fresh herb kuku. I’ll post the recipe soon. We adapted this recipe to make it veggie friendly by omitting the meat completely, and increasing the quantities of rice and yellow split peas (or chana dhal in our case). These were mixed with herbs and advieh and then used to stuff the veg. The tangy tomato sauce has sugar, cinnamon, lime juice and saffron on it. I was quite impressed by kuku, the wonderful Iranian omelette. This version is baked in the oven, and based on fresh herbs: parsley, coriander, spring onions (including the green bits), fresh fenugreek (methi). The original recipe calls for dill and chives, but we didn’t have any, so I substituted what we had. The herby egg mixture is seasoned with advieh, Iranian spice mixture, and given a slightly tart edge with the addition of barberries, sour little berries characteristic of Iranian cooking. We also threw in a small handful of walnuts for a bit of crunch, and it was delicious. Really good with the yoghurt salad, and the feta and walnut salad. Batmanglij’s recipe (without the walnuts) is available on Epicurious.com. If you have a chance, have a look at the picture of kebabs on pg. 76 in Batmanglij’s book. Ours looked nothing like it. I think we have a long way to go in perfecting our kebab skills. Oh well, at least we had fun. Have you ever tried juicing an onion? No? Oh you must. Actually you mustn’t. Still hilarious though! Let me tell you about mains next…. I mentioned earlier my culinary explorations: my friend A. and I get together and explore a cuisine of our choice. So far we cooked Sichuanese, Moroccan and Persian, just before my old kitchen went out. Tonight, I’ll tell you about our Persian adventures because – guess what – we have some photos from that! We exchanged some food for Sam’s photographic excellence – a great move – and voila! A. is very passionate about Persian cooking, which is an understatement, to tell you the truth. It was his fine idea to cook this feast. It was a serious undertaking, mind you. Sometimes I think you must be mad to do it, which I suspect we were/are. It took us a week to plan it (decide on the recipes, devise the plan of action, etc. ), a day to shop for it, and a day and a half to cook it. But it was all well worth it! Persian or Iranian cuisine has been, and still is, among the greatest in the world. With their sophisticated tastes and techniques, Persian cooks have influenced Indian and Middle-Eastern cooking. I chose this yoghurt salad for introduction because it gives indication of what Persian food is like: the use of yoghurt, walnuts, fresh herbs, attention to details in presentation. But more about this next time. This is an excellent book, and we found most of our recipes were from it. Clearly presented, with pictures of all dishes, and a helpful list of ingredients at the end. 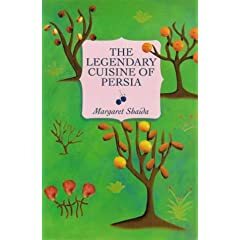 Excellent introduction into Persian cooking. Interesting, and larger in scope than A taste of Persia, but I was slightly put off by the presentation of the recipes. 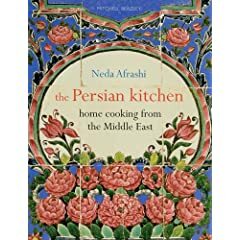 This is a very informative, and beautifully written book on Persian cuisine. I bought it after our cooking session. 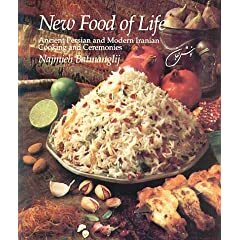 Another lovely book on Persian food and customs. This is to tickle your imagination until next time. I hope you enjoyed it, and I hope it has made you at least a little curious about Persian cooking. Regional Cuisines of India (RCI) is the blogging event started by Lakshmi of Veggie Cuisine, to celebrate the rich and diverse cuisines of India. It’s been a while since I had time to take part in what is probably my favourite event. This month we’re exploring the cuisine of the princely state of Hyderabad. Our host this month is Mona, from Zaiqa. I know I should be making a byriani, the celebrated dish of the Royal Hyderabad, for this event. But the time is a little tight, so my second entry for this event is a simple, light and aromatic lamb curry with tomatoes, coriander and curry leaves. I made it twice in the last two weeks, the second time with chicken (see photo). I think I prefer it with lamb, though. It goes really well with Hyderabadi Coriander and Mint Chutney. 1. Marinate the meat with garlic, ginger, cumin, turmeric and some salt for 30 minutes or longer. 2. Meanwhile, prepare the onions. Then, heat the oil to high medium heat. When hot (it sizzles when you put a wooden spoon in it), add onions and fry until brown. 3. Add the meat with its marinade and stir-fry for a minute or two. Cover, reduce heat to medium-low and cook in its juices for another 8 – 10 min. Keep an eye on the pot, so the meat doesn’t burn. If it starts sticking badly, add a little water to the pan and stir. 4. Now add the tomatoes, the chilies, the curry leaves and coriander and bring to simmer. Cover and reduce heat to low, then cook for another 30 – 40 min or until the meat is done, and the tomatoes turned into a dark, luscious, thick sauce. Serve with rice or roti. It’s worth seeking out fresh curry leaves (though use dried curry leaves, if you have to), because they make a difference to the flavour. I might try this with fresh tomatoes next time. The chilies are boiled in the sauce and therefore very very mild. I loved biting into them, though. I think I’ll try and add a few more next time, to add more heat to the dish. Murgh Timatar – For the chicken version (pictured above), replace the lamb with the same amount of chicken. I used chicken thigh. Cooking a hated vegetable dangerously. This is what the Significant Someone would say if he saw me now. But my policy is: the one who is not here doesn’t get a say in what’s for dinner. So I do it my way. Or rather Madhur’s way. Dangerously cooking a plum purple aubergine on an open gas fire! Praying I don’t burn the house down (I suddenly remember that I was born a Catholic). Making baigan bharta, the Punjabi dish of aubergines, tomatoes, ginger, garlic, onions and chilies. Flavoured with a generous sprinkle of coriander. Yum! Apart from the danger element, simplicity is the name of the game. Simple spicing and flavour, but utterly delectable results. This is my second try at it. I’ve got to admit that I didn’t have the nerve to cook it properly the first time around. Yes, I copped out, and baked it in the oven on high heat. And that was fine, but it didn’t have that characteristic charred taste. Still very nice, if you don’t have a gas hob. And the danger? It really is not half as bad as it sounds. The first time I cooked this, I watched it like a hawk, but after I realised I wasn’t going to burn my home down, I relaxed. Still, be watchful and careful if you cook it on the gas hob. This is my entry for my event Eating with the Seasons – July. 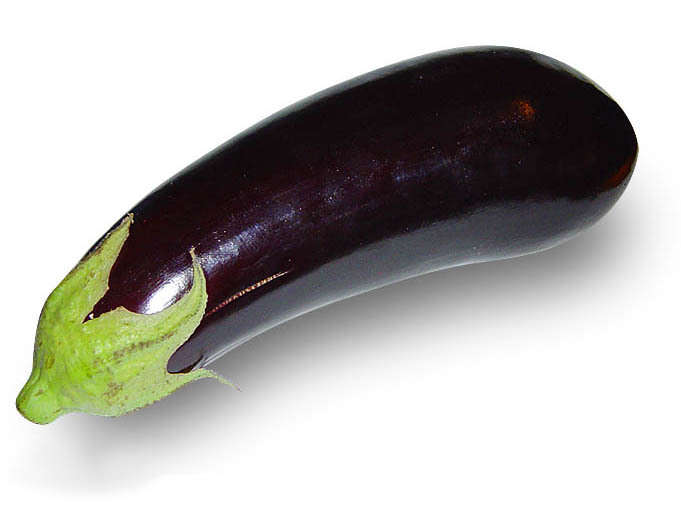 Aubergines are in season in Britain at the moment. Enjoy them! 1. Wash your aubergine and wipe it clean. Remove the stem, and prick it with a knife a few times. Now this step is vital. If you fail to do this, you may have a hot and dangerous aubergine bomb exploding all over your kitchen! 2. Place the aubergine on top of a burning gas flame, and cook moving around until charred. Or simply bake it in the oven until soft to touch. Leave to cool, and then peel. 3. Meanwhile, heat the oil in the pan until it starts sizzling when you dip a wooden spoon into it. Then throw in the cumin seeds. Let them sizzle for a few seconds, and when they’ve released their lovely warm aroma, add the onions. 4. When they turn golden, add the garlic, ginger and green chilies. Fry for two minutes until the ginger and garlic mellow a little. 5. Add the tomatoes and cayenne if using it, and season with salt. Cook the tarka (the tomato and onion mixture here) until it becomes shiny dark orange and the oil starts oozing out. 6. Now add the chopped aubergine and cook for about 5 minutes until the vegetables come together. You can do this for a bit longer if you wish. 7. Add the fresh coriander, stir and remove from heat. I sometimes add a touch of garam masala at the end. Serve it with any Indian meal, or even as a dip at parties, or a delicious spread on crusty bread. 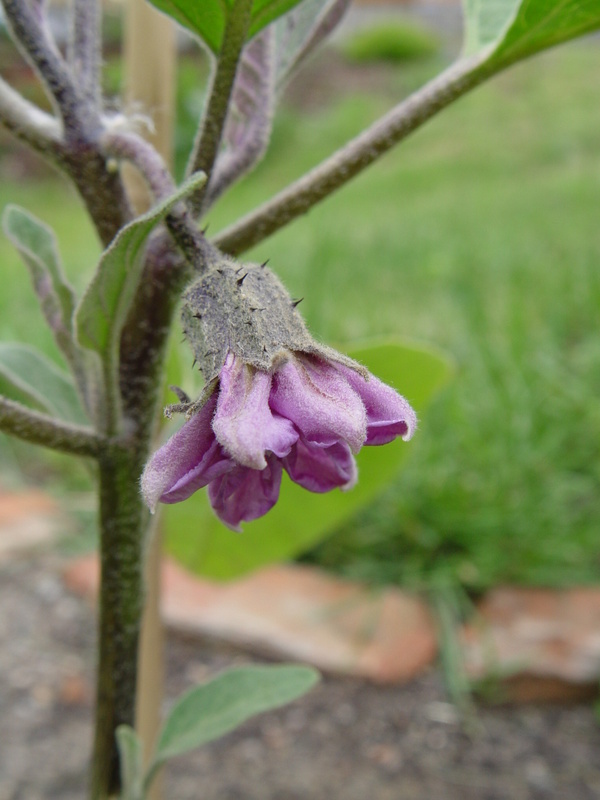 This is a lovely way of cooking aubergine. Fragrant, and rather fresh tasting. Mildly spiced, so that the flavour of vegetables really come into their own. This lovely relish is probably the most popular condiment of the former Yugoslavia.